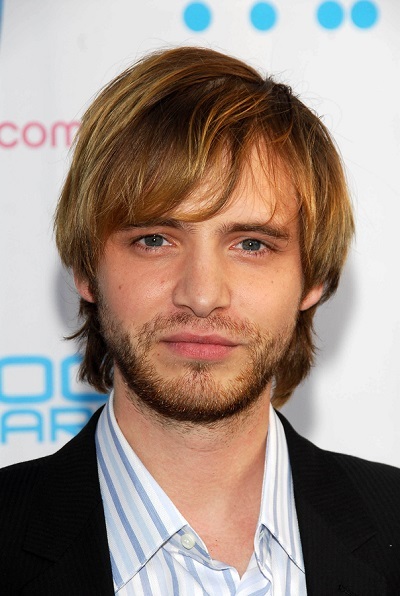 Place of Birth: Westford, Massachusetts, U.S.
Aaron Stanford is an American actor. Aaron’s paternal grandfather was Donald Elwin Stanford (the son of Ernest Elwood Stanford and Alice Lyndon Carroll). Donald was born in Massachusetts. Ernest was the son of George Elwin Stanford and Mary Emily Peck. Alice was the daughter of Charles Robert Carroll, whose paternal grandparents were Irish, and of Ina Lyndon Allen. Aaron’s paternal grandmother was Edna Gloria Goodwin (the daughter of Leroy “Roy” Linton Goodwin and Edna Kathryn Desserich). Aaron’s grandmother Edna was born in Colorado. Aaron’s great-grandmother Edna was of German descent, from the Alsace-Lorraine region, the daughter of Jacques Desserich and Catherine Gredy. Aaron’s maternal grandfather was Gilbert Arthur Dupras (the son of Frederick L. Dupras and Lucy May Lebel/Bell/Bel). Gilbert was born in Massachusetts, of French-Canadian descent through both of his parents. Frederick was the son of Louis Dupras and Emma Fountain. Lucy was the daughter of William Lebel/Bell/Bel and Sophia Melle Latulippe. Aaron’s maternal grandmother was Arline M. Stirk (the daughter of Edwin J. Stirk and Ida Cynthia Butler). Arline was born in Maine. Edwin was the son of Asa Worthing Stirk, who was born in Maine, to English parents, and of Mary E. Tanner. Ida was the daughter of Anson Morrill Butler/Butter and Mary Elizabeth Dodge. CORRECTION: He also has distant English ancestry (from his ‘Coffin’ ancestry), hailing from the fishing town of Brixham, Devon and also he has Welsh ancestry (from his ‘Williams’ ancestry). Which one of his relatives was of Irish ancestry?